The Aspire Atlantis EVO Sub Ohm Tank is a new and improved version of one of the best selling tanks to ever hit the market. 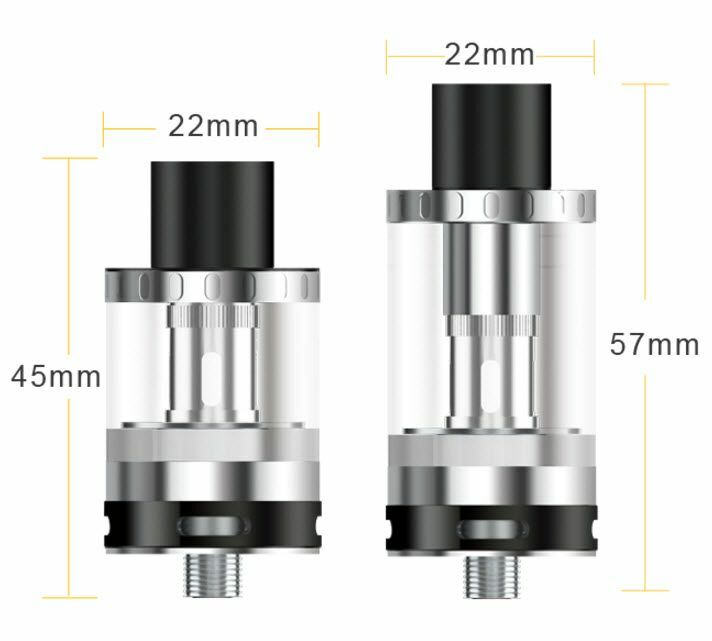 This tank utilizes double wicking efficiency from enlared liquid channels coupled with lower positioned ports to create an extremely efficient juice flow, perfect for those chain vape sessions. Available in two versions, the Atlantis EVO from Aspire offers it's ultra efficiency in either a small and discreet 2mL package or double the size with the extended version for a maximum 4mL tank capacity. 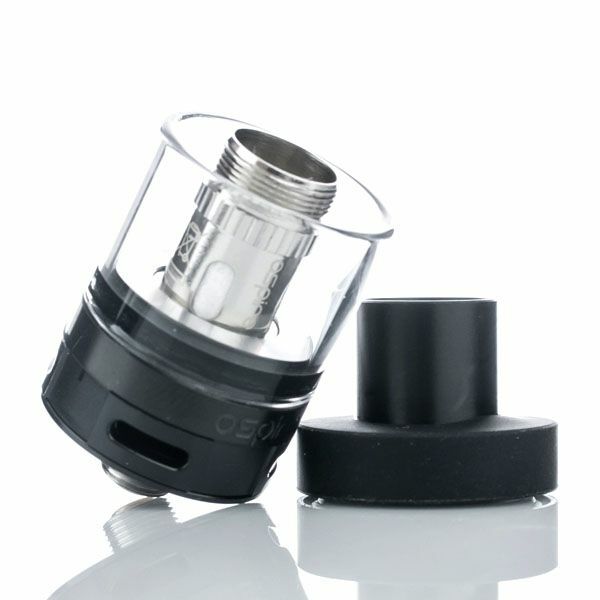 Aspire implements a quick and clean top fill feature with this tank that allows you to achieve the full capacity in just a matter of seconds without allowing any liquid to go to waste. A quad slot adjustable airflow system combined with tank's efficient juice flow system allows it to breathe without a hitch when taking long, extended sessions. 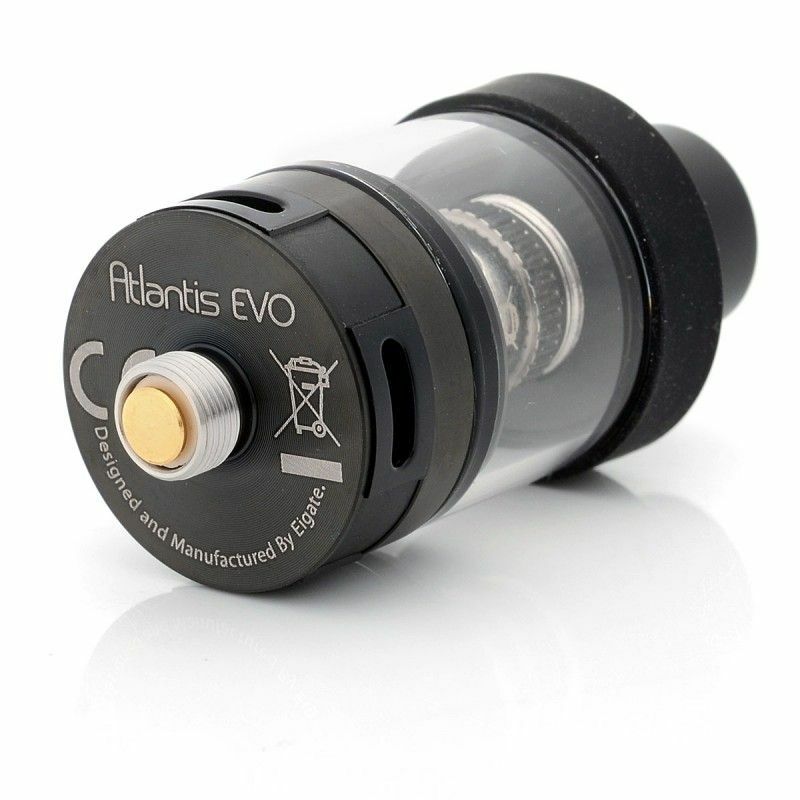 The Atlantis EVO from Aspire is compatible with the Atlantis V2 coils as well as the newly released EVO coils that come included with this kit. Whether you are buying the Standard or Extended version you will receive one of each of the 0.4 and 0.5 ohm coil options, providing either enhanced flavor or maximum vapor. The Aspire Atlantis EVO Sub Ohm Tank also features a durable stainless steel construction with pyrex glass tank, a wide bore delrin drip tip, a 22mm diameter with both versions, and each kit comes with a colored Rubber Cuff that aids in the heat dissipation process.